Beverly J. Howell is Chief Operating Officer and a principal of GS Management Company. Ms. Howell has worked in commercial real estate since 1983. Prior to GS Management Company she was the principal of a local property management company, which merged with GSMC in 1996. 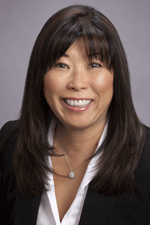 From 1985 – 1992 she was a Portfolio Manager with Koll Management Services overseeing an extensive industrial and office portfolio in the East Bay. Ms. Howell received her Bachelor of Science Degree in Business with an emphasis in Accounting from San Francisco State University.